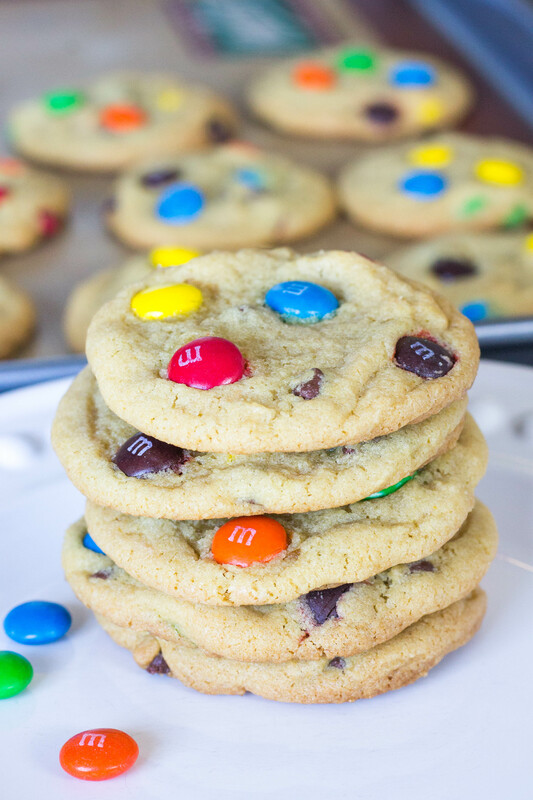 These Soft and Chewy M&M Cookies are so fun to eat! They are loaded with everyone’s favorite rainbow chocolate candies and kids will have so much fun eating them! I hope everyone had a great weekend! How is it that Monday’s always come up so quickly…Well since we all just loooove Monday’s so much (kidding), I wanted to bring a little joy and share this sweet and simple cookie recipe with you all- Soft and Chewy M&M Cookies.